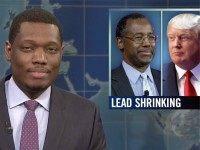 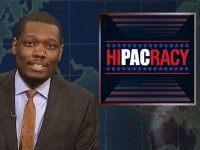 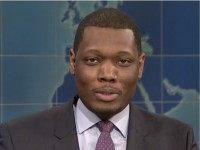 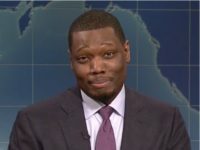 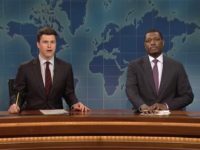 After admitting that he does not usually vote, Michael Che used SNL’s regular “Weekend Update” segment to lambaste young liberals for moving out of their conservative home states. 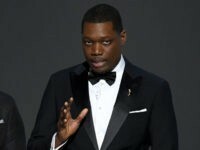 Emmy Awards co-host Michael Che kicked off the show with political commentary and disparaging jokes, and Christians were not spared. 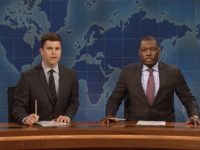 During the opening monologue of the Emmy Awards tonight, hosts Michael Che and Colin Jost of SNL fame went after Roseanne Barr and made predictable jokes about Nazis. 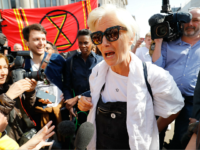 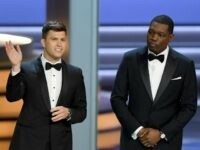 LOS ANGELES (AP) — There are critical points about the 70th Emmy Awards to keep in mind, starting with this: The ceremony airs Monday. 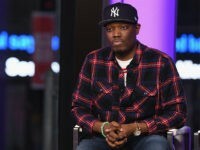 Comedian and Saturday Night Live star Michael Che defended Louis C.K.’s right to perform in a series of Instagram stories posted Tuesday. 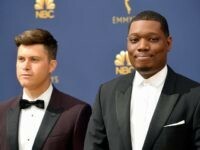 SNL’s Colin Jost and Michael Che are hoping that their stint as co-hosts of this year’s Emmy Awards can be more about entertainment than politics. 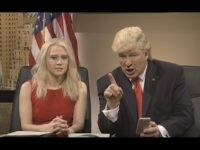 The latest episode of ‘Saturday Night Live’ saw its regular roast of President Donald Trump, calls for gun control in the wake of the Las Vegas shooting, but not one word was uttered about embattled film mogul Harvey Weinstein’s alleged sexual harassment of multiple women over a period of decades. 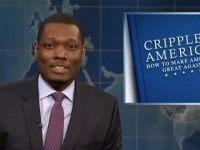 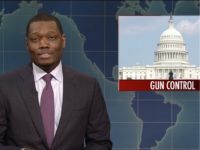 During the October 7 airing of SNL’s Weekend Update, hosts Colin Jost and Michael Che pressed for gun registration and suggested the maximum legal number guns a person can own should be one. 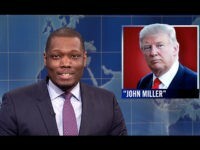 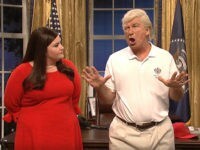 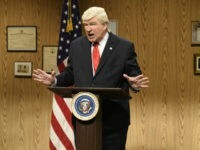 The new season of “Saturday Night Live” wasted no time getting topical — or mocking Donald Trump — with an opening sketch that featured Alec Baldwin skewering the president for his response to the hurricane that devastated Puerto Rico, threatening Attorney General Jeff Sessions’ job and mentioning his stand-off with the NFL. 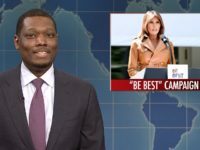 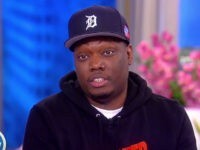 Monday on ABC’s “The View,” Michael Che, a cast member of NBC’s “Saturday Night Live” and co-host of the show’s “Weekend Update,” said President Donald Trump was like a “drunk dad” and he would not let him watch his children. 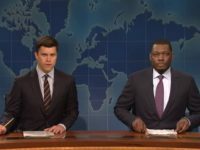 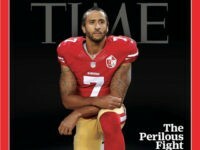 Saturday Night Live’s Michael Che calling Boston “the most racist city I’ve ever been to” continues to elicit peculiar amens in Beantown as denizens rush to prove their enlightened status by attesting to the benightedness of their city. 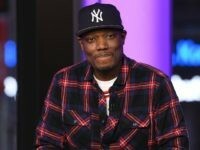 Saturday Night Live star Michael Che is not apologizing for calling Boston, Massachusetts the “most racist city” he has ever visited. 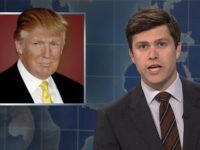 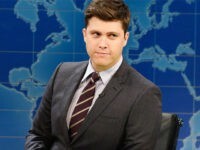 Saturday Night Live cast member Colin Jost found himself inundated with complaints and criticism on social media this week after joking that the election of Donald Trump was a result of identity politics being pushed ahead of other issues facing America voters.